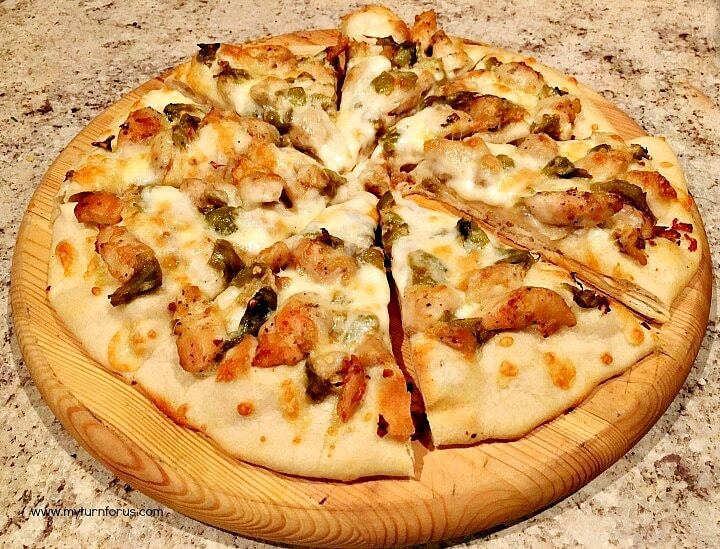 This Grilled Pizza recipe is topped with garlic infused chicken and Hatch Green Chiles. 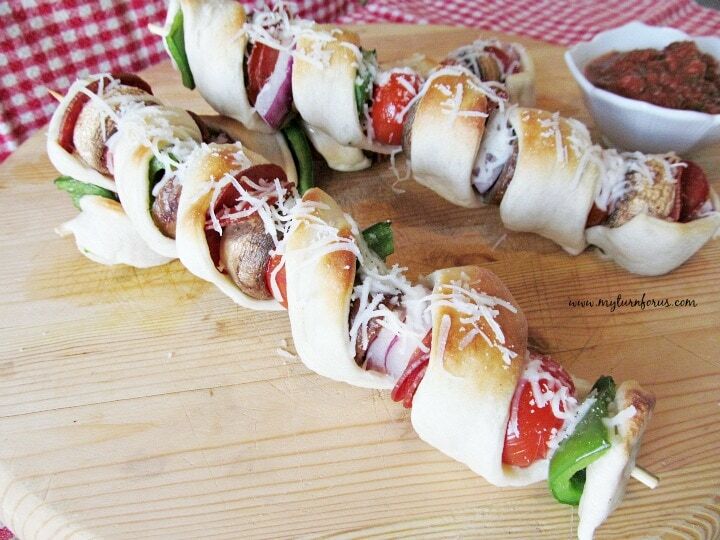 I have been craving pizza for months and months but not just any pizza but a grilled pizza. There are so many toppings and sauces for pizza that I could have a different pizza every single day and most of them can be cooked on the grill. But even though I love my Homemade Red Pizza Sauce, I wanted to do this pizza a little different! 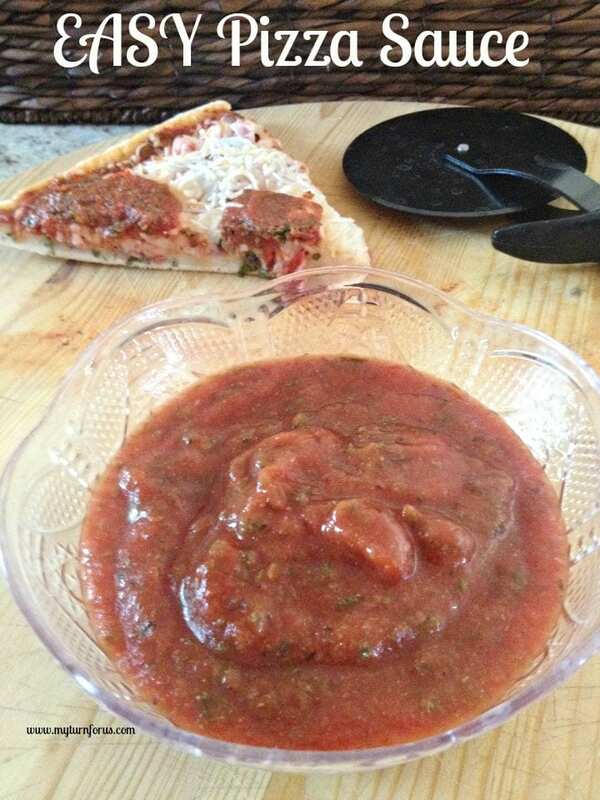 And believe it or not but sauce is not always a requirement for a great Pizza. 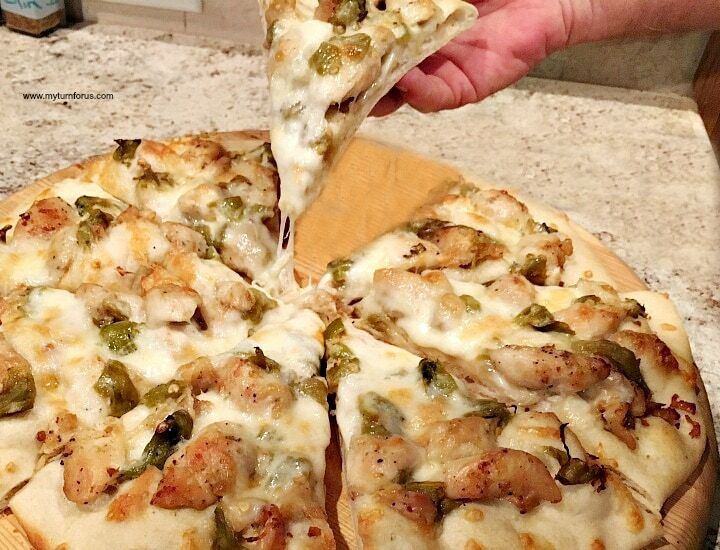 I was thinking maybe some grilled chicken and since I have an abundance of roasted fresh hatch green chile, I would add them and follow with mushrooms and loads of cheese to make an awesome Grilled Pizza with Garlic Chicken and Green Chile! 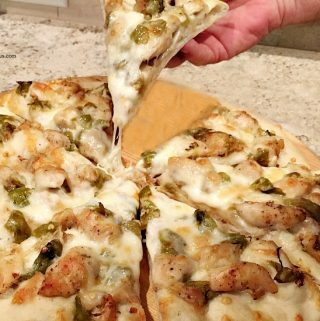 I started off by mixing up my awesome Homemade Pizza Dough and then topped it with a combination of grilled garlic chicken, mushrooms, and roasted green chile! And even though I made this pizza on the grill, they can easily be baked in the oven on a pizza stone! These pizzas are just awesome. The garlic infused chicken with the green chile and the smoky flavor of the mesquite wood made these guys just heavenly. Place 1/4 cup of olive in a small dish and add the minced garlic. Salt and pepper the chicken breasts and place in a large ziplock bag, pour in the olive oil with the minced garlic. Place in fridge and let marinate for at least 1 hour, but can be marinated overnight. Light grill and when the coals are ready, remove the chicken breasts from marinade and grill until done about 10-12 minutes per side. Let chicken rest on a cutting board for 10 minutes and then chop into bite-size pieces. Roll out the pizza dough, brush with olive oil. Place on grill for about 2-3 minutes until the bread is lightly browned. Turn over and brush with olive oil, spread the green chile on the pizza dough, place sliced mushrooms, chicken pieces and cover with plenty of cheese. Close grill and cook for about 5 minutes. Place Pizza stone in oven and preheat to 500 degrees. (The pizza stone should go in the lower middle of the stove with the logo facing downwards. Preheat for at least a half an hour). 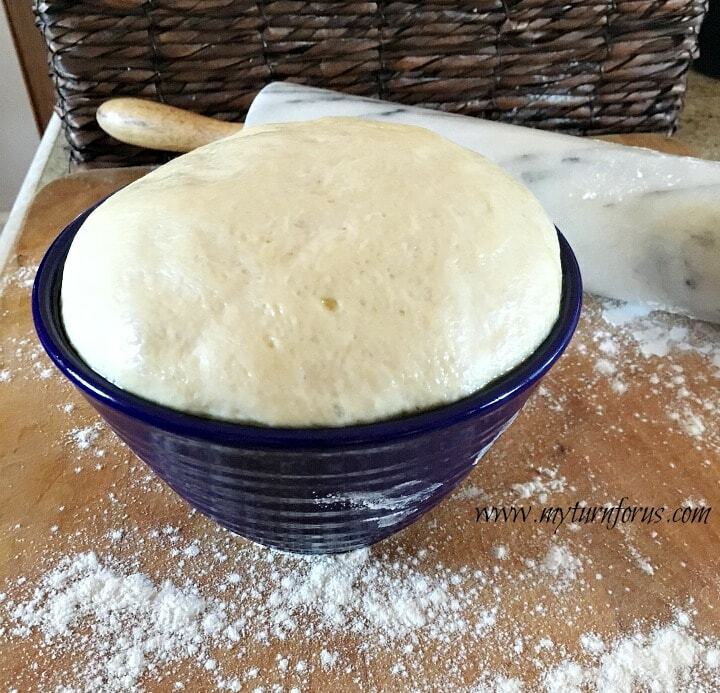 Place Pizza dough round on parchment paper. 7.. Sprinkle the chicken bits, green chile and mushrooms on pizza dough round, cover with cheese. Bake pizza for five minutes on stone with parchment paper, then rotate 180 degrees, removing the parchment paper at this time. Bake for another three to five minutes, until crust is golden brown and the cheese is melted. Hello , I am stopping over from Let's Get Social Sunday. This pizza looks really delicious! I love the homemade pizza dough. I pinned it! Thanks so much for stopping by Saturday Dishes and linking up.